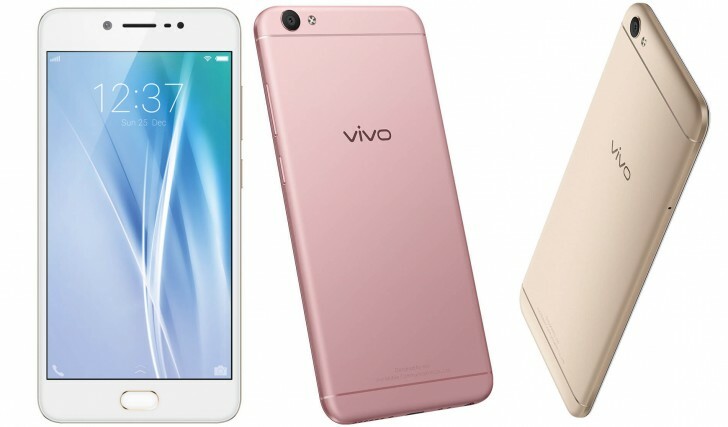 Vivo V5 is all about the selfies, and you can tell it right away by a quick inspection on its specs sheet. It has a lower-res screen, a mediocre chipset, and an uninspiring main camera. Its popularity in recent months however spiked surprisingly high and that left us curious wherether there might be more than the spec sheet alone suggests. The Vivo V5 Plus, which we reviewed recently, is a model, which is positioned higher in the food chain. It may not have been particularly original in its design choices (read: it's almost an iPhone clone), but at least it had quite the decent chipset and a dual front camera setup, which produced selfies with great-looking artificial bokeh - something of an industry first if you ask us. The lower-priced V5, however, has lost that selfie superpower, but has kept a single 20MP selfie camera and the fill-light for those advertised "moonlight" selfies. 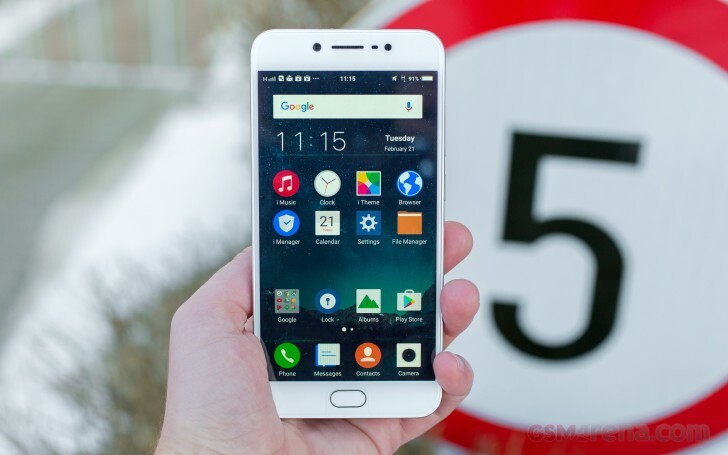 There are already a few clear warning signs on the Vivo V5 spec sheet. The Mediatek MT6750 is a feeble chip worthy mostly for entry-level smartphones, but vivo has put it on a $270 device. It doesn't even support 1080p screens, which may explain why vivo has gone for the 720p panel despite that they are stretching it a bit too thin over the otherwise ample 5.5-inch sized display. There is no fast charging, not even a microSD slot. There is also no NFC, but that's the least of your concerns. The V5 has a few attractive features, which may help it save face - the 20MP selfie camera, its fill-light, the 4 gigabytes of RAM, and the promising fingerprint scanner. Oh, and there is an FM radio, probably onboard because of the dated chipset, so there is that. Is there anything more beneath the surface? Can the V5 escape from its low-end vibe? Let's find out, shall we?